Liza's Eyeview: I Love Your Blog Award - Someone Loves My Blog! and I Love Lots Of Blogs Too! I Love Your Blog Award - Someone Loves My Blog! and I Love Lots Of Blogs Too! I was so touched to receive this award from Christina at Refuge For Single Moms. There are many reasons why I am touched and I probably would not even express it clearly why. It's just that I am realizing more and more that there are many readers of this blog who faithfully read my posts everyday (or almost everyday) even though I didn't know they were. And it blesses me to know that I am blessing them/you. Several weeks ago I announced that I am going to stop sending out feeds because of some of the SPAMS I had been getting. But Molly along with others commented that they are reading stuff on feeds (including mine) so I just kept it even though I removed the box for e-mail subscription on my side bar. Now that Christina commented to let me know that she reads my blog almost daily, I am glad I did not stop the feed. Thank you again Christina. I am so happy to get this. As is custom in the blogosphere, there are a couple rules for accepting such an honor! The winner of this award can put the logo on her blog. Link to the person you received your award from. Nominate at least 7 other blogs. Put links of those blogs on yours. Leave a comment on the blogs of the people you have nominated as well as the persons blog who nominated you. If the Blogger you nominate has already received this award they don’t need to pass it on. I don't know how to nominate you, but I LOVE your blog! You are so gifted and inspiring,Liza. You always touch my heart with your look at life..Liza's Eyeview. Love you so and thanks for making a difference in my life. By the way, I think I'm ready for you to teach me how to blog. Thank you so much, Liza! You just made my day. 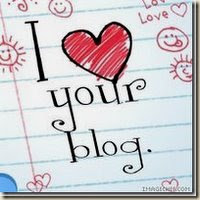 :) I love your blog, too. I always come away from reading it with some new spiritual insight or message to meditate on. Thank you so much for the honor! I am enjoying writing so much. Thank you so much, Liza. I am honored. And though it may sound like a schmooze or payback, your blog is the 'one' I most frequent. Thanks a lot sister! The best award for a newbie blogger! You deserve it too! God bless! we miss you and bradley and the kids! we love you guys and are always praying for you! Thanks Liza!! Sorry I am late in saying thanks. But I do appreciate you thinking of me. :) And you know I always enjoy your blog, your thoughts, your honesty with your struggles and heart for the Lord!